SR Windows & Glass of El Mirage, AZ is a window repair contractor offering glass replacement services for broken windows and glass doors. If you have a cracked window, a window that is foggy or stuck and won’t open, you’ll need to hire a reliable glass replacement company that knows how to handle residential and commercial glass. Since 2010, SR Windows & Glass of El Mirage has been serving the West Valley by providing a range of replacement windows, single pane glass, dual pane glass, shower glass doors, patio door glass and commercial storefront glass. Very few homeowners and building owners know it is possible to perform a window repair or glass replacement without removing the window frame from the wall of the house. SR Windows & Glass of El Mirage specialize in home window glass replacement and can also replace window rollers, window balances and window locks. As a glass contractor, we’ve see it all and can help repair your sliding glass door or shower glass door. Thanks to professional window contractors at SR Windows & Glass of El Mirage, it is now affordable to replace your window glass and restore your home to its original beauty. To fix a broken window, you can choose to replace the entire unit or just the glass inside the frame. In most cases, you simply need to replace the glass itself, and there is no need to invest in the entire frame. By simply taking a look at your window glass, you should notice mold and moisture build up especially if it is dual panes and you may even see some droplets of water building up on the inside of the glass, and if you notice this, it means that your window glass definitely needs to be replaced. Simply having the glass itself replaced is much cheaper than having the entire frame removed and reinstalled. SR Windows & Glass of El Mirage offers fast, effective at affordable window glass replacement services. Call us today for a free price quotation and to learn more about our glass products and installation services. Broken windows need to be repaired as a matter of urgency because if they are left to their own devices, it can prove to be dangerous. You can choose to replace a broken window by only replacing the glass that goes inside the window frame. This is also cheaper form of window repair than having the entire window unit replaced. Some windows are dual pane and others a single pane units. Single windows can be repaired on site by following a simple procedure. However, a dual pane window glass has to be measured by a professional glazier and custom-made to fit the frame of the window. As well, the gap between the glass panes, the thickness of the glass and the type of glass used must all match the original window specifications. When it comes insulated windows, these can also be replaced without removing the entire frame. In the event that your insulated glass unit looks foggy, there probably is a break in the seal. If this happens, then the window loses its ability to keep your home insulated. You may also see some mold and insects in the frame. SR Windows & Glass of El Mirage also takes care of glass sliding glass door repair. Irrespective of whether you have a tempered glass sliding door or a single dual pane window, we can assist you further. We also assist you with sliding door roller replacement too. Our professional contractors are qualified, certified and skilled enough to get the job done right the first time around. So don’t spend hours searching online for a glass repair glass replacement company because we are just a call away. In some cases, your entire window frame could be damaged, preventing the window from closing or leaking water when it rains. A window retrofit includes the glass as well as a frame surrounding the glass. If you have children at home, then you are probably used your windows breaking every now and again. However, if there are no children in the house, some of the reasons as to why a window would break are through thermal stress. This process is basically brought on by applying window film on the glass, and it makes the glass more susceptible to breakage by absorbing more heat. Irrespective of how your window breaks, replacing it is a matter of urgency. The good news is that you don’t have to pay an arm and a leg to get your windows professionally replaced by qualified contractors when you contact SR Windows & Glass of El Mirage. We are standing by to take your call and guarantee you that our residential and commercial services are the best in the business. El Mirage, Arizona is a suburb of Phoenix. 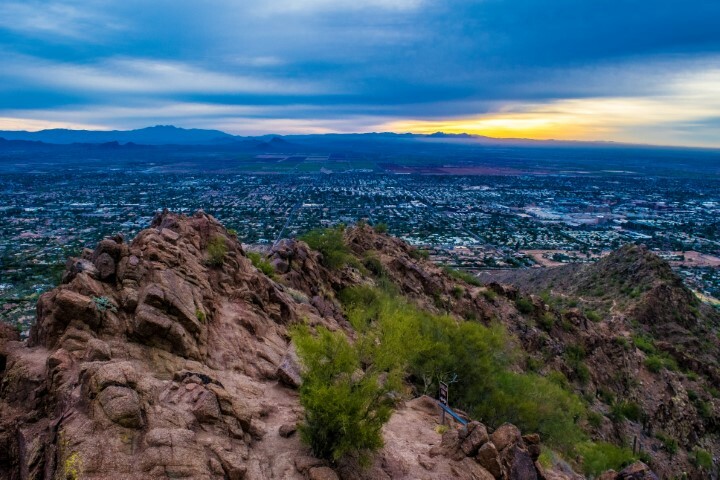 The city has a population of 34,400, and it is located in Maricopa County. The residents of El Mirage, AZ enjoy a suburban feeling, which makes the city unique. Also, research conducted in the city indicates that most residents own homes, with a small percentage of the residents renting homes. A large number of parks in El Mirage, AZ makes it a unique city and attracts a large number of local and international tourists. Residents of the city have moderate political views. The 2010 census carried out in the United States indicates that El Mirage, Arizona has an area of 9.7 square miles. The city is situated near Luke U.S. Air Force Base, a large Fighter Pilot Training Base in the NATO. El Mirage, AZ has the highest paid city manager per capita in the large Phoenix metropolitan area. El Mirage, Arizona boasts several historic structures that attract tourists, such as the El Mirage City Hall building, El Mirage Motel, and Agua Fria River Bridge. Top public schools in El Mirage include the County Meadows Elementary School, Peoria Traditional School, Dysart Elementary School, and Valley Vista High School. The Hohokam was the first inhabitants of the city, and it was famous for its irrigation farmers. The El Mirage Fire Department city was founded in the early 1960s after the citizens realized the importance of fire protection in the community.